The future is made of ideas, visions, projects, hopes and dreams. For some it spells uncertainty. For us it is a challenge, an amazing opportunity. We aim to be interpreters and protagonists of the future. We want to create and anticipate it, to make it better. Not only for ourselves, but for future generations too. We see progress and innovation as instruments at the service of mankind and its future. This is the vision which has been inspiring us every day and for every single project over the last 70 years. This is the vision which has enabled us to improve and grow over time. 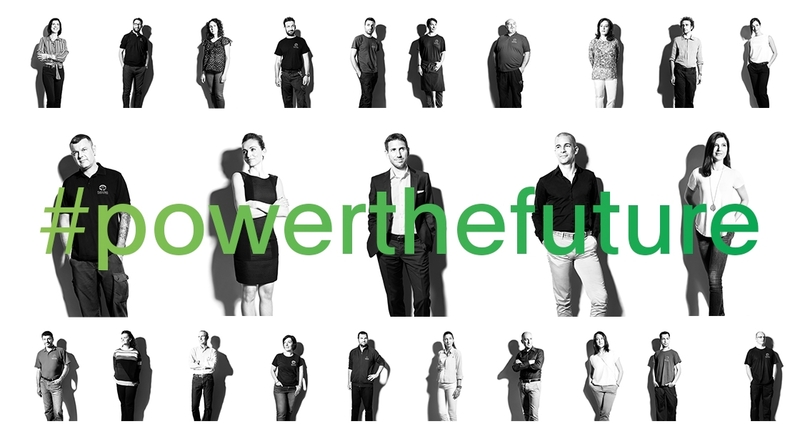 "Power the Future" has been developed in line with this spirit, to give a voice to protagonists on issues of the future, on responsibility and sustainability. We started with our own people: those who thanks to their skills, passion and humanity, are the protagonists of our growth and evolution. Their stories and thoughts speak to us of values, projects and dreams of the future, in professional and personal spheres alike. These thoughts imagine the future and in doing so they feed it, rendering it less abstract and more humane. Leaving us with the awareness that the future is indeed an idea, one that is so powerful that it truly can make a change.